Are you looking at ways of keeping the children entertained throughout the Easter school holidays? Look no further! Why not visit the Keighley and Worth Valley Railway and take part in our fun Easter activity. Come along over the Easter holidays and take part in our Easter egg hunt along the railway. Travel up and down the line on our steam train and see if you can spot the giant eggs which are scattered along the line. There will be some chocolatey goodies available if you find all of them. 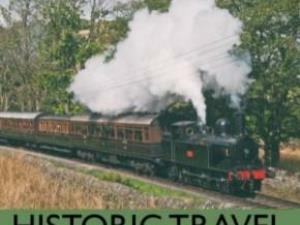 Throughout the holidays, steam trains will be running for you to enjoy a trip through Bronte Country. Don’t forget if you buy a Rover ticket, you get unlimited travel throughout the day and free entry into the RAIL STORY museums at Ingrow. Explore the fine collection of vintage railway carriages in The Carriage Works, and see where many celebrities have sat during the filming of numerous films and TV shows. You can also visit our wonderful cafe based at Oxenhope Station and eat your lunch in a carriage, or even see our engines up close in the Exhibition Shed. If the weather is kind and you want to spend time outside in the fresh air, why not take the family on a walk in the surrounding countryside. Take the Railway Children Walk and see the locations that were used in the iconic film of the 1970s. Visit The Railway Children page on this website for more information about the filming of this iconic film. So why not come and visit us this Easter and spend the day exploring, learning and, most importantly, having fun. Check KWVR for train times. Check KWVR website for prices.